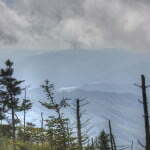 Clingmans Dome: What A View! 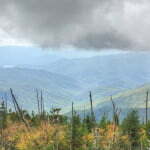 If you take Highway 441 out of Gatlinburg and head into the Great Smoky Mountains National Park, on the right hand side of the road you’ll find a 7-mile spur that runs along the Tennessee-North Carolina border. 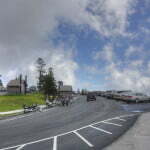 This serpentine byway, which ducks through mountain tunnels and ascends into the clouds, ends abruptly in a mere parking lot. 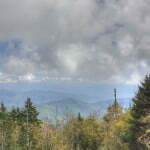 At the far side of this lot you’ll find a steep, half-mile, paved trail that beckons to those who wish to see one of The Smoky’s grandest views. 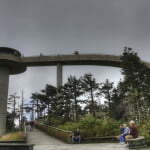 Welcome to Clingmans Dome, the highest point in Tennessee and the third highest elevation this side of the Mississippi. 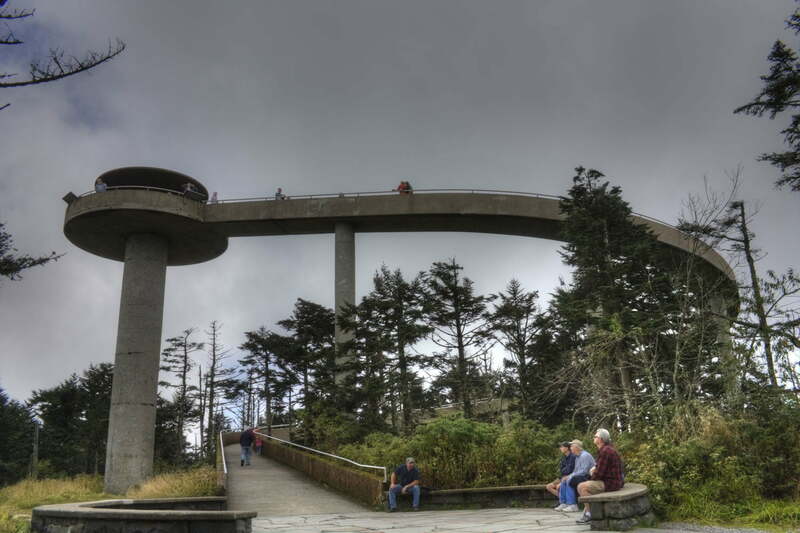 It reaches 6,643 feet and is capped off with an additional 54-foot observation tower. Here, on a clear day visitors can gaze in awe at one hundred miles of mountainous countryside, a view that extends into 7 separate states. 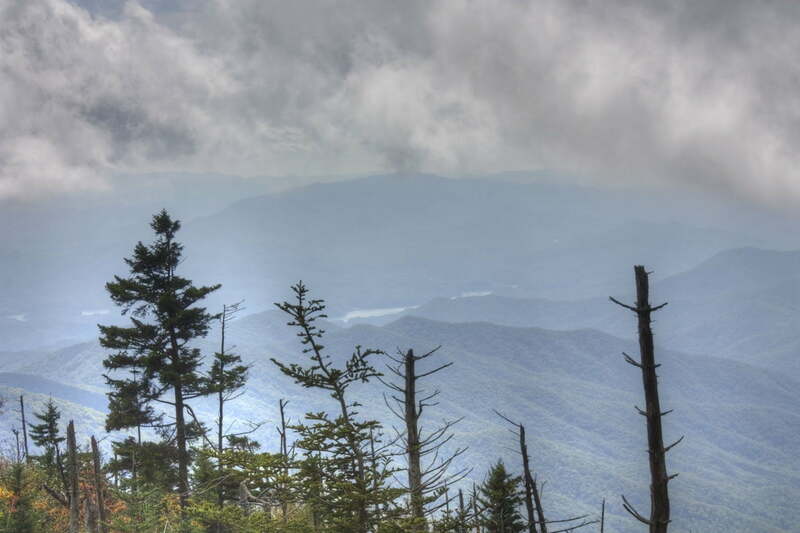 Even on days when the peaks are shrouded in their trademark mists, this panorama is a sight to behold! The observation deck (which is shaped like a flying saucer) allows for optimal viewing, particularly of sunrise and sunset. 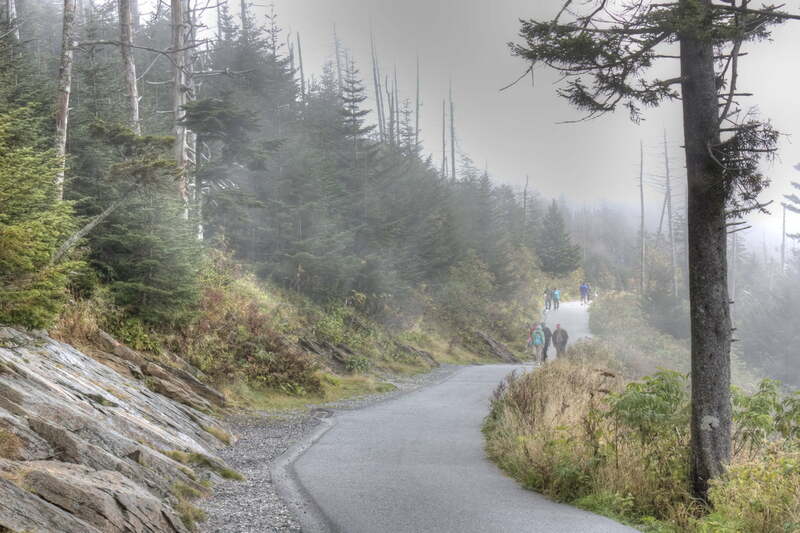 Clingmans Dome marks the highest point on the Appalachian Trail as well–a journey which spans 2,144 miles from Georgia to Maine. 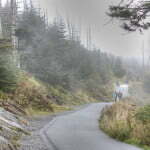 At this elevation, only evergreen trees grow, which, in this moist atmosphere, constitute a coniferous rainforest. 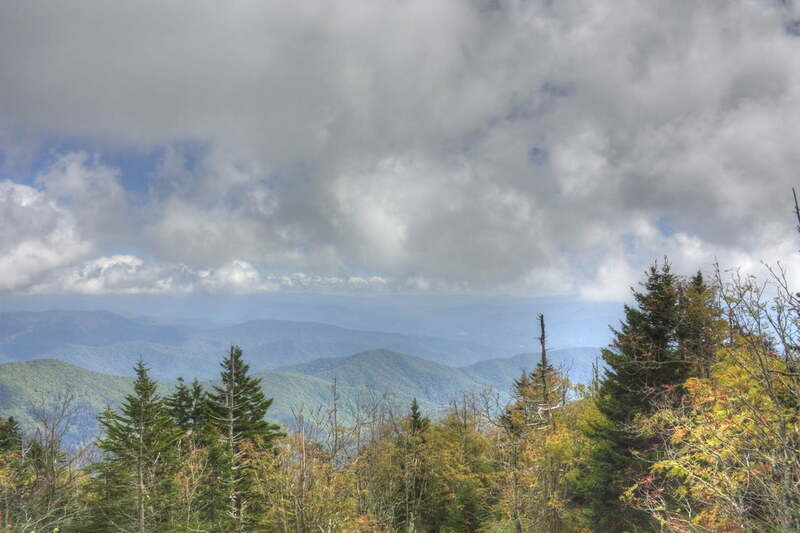 It’s a harsh environment where temperatures average 10-20 degrees cooler than those found in Gatlinburg. 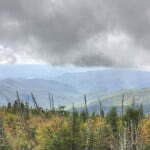 Snow, too, can fall anytime between September and May; conditions which cause Clingmans Dome Road to be closed to vehicular travel from December until April–although, the truly tenacious can still reach the summit by foot or by ski. 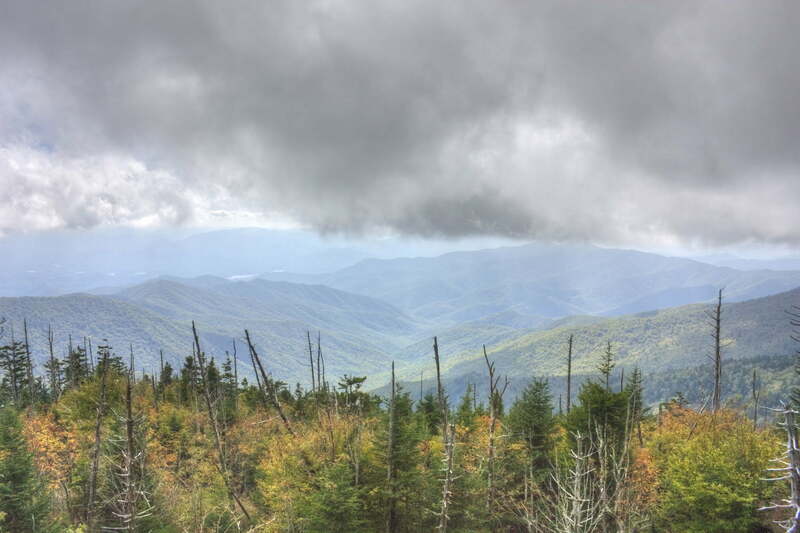 So if you’re looking for an invigorating hike, a perfect photo opportunity, a romantic sunset, or just a place to marvel at nature’s beauty, take some time out of your Gatlinburg vacation to visit Clingmans Dome. 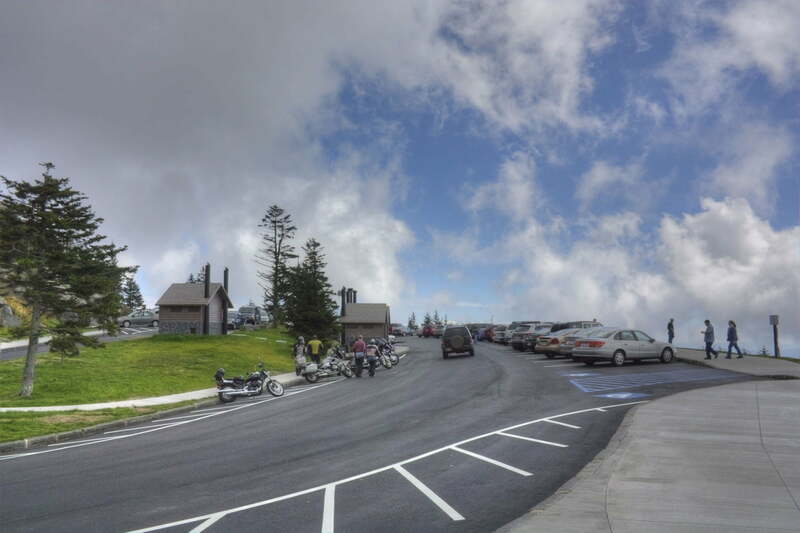 And don’t worry, if you’re not up to the trek to the observation deck, the view from the parking lot itself is pretty amazing!